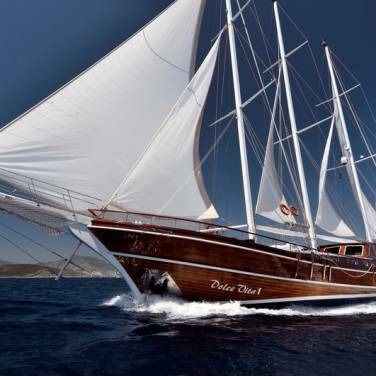 Gulet Bonaventura is a traditional charter gulet, perfect for cruising along the beautiful Adriatic coast. Having changed the owner quite recently, this splendid gulet gives you the chance to experience a high level of charter service. Comprised of 4 double cabins and 2 double bed cabins with an additional single bunk bed, the sleeping quarters aboard Bonaventura can accommodate up to 12 + 2 charter guests. All cabins are air-conditioned and have en suite bathrooms. The main salon is spacious and features both a dining area and a lovely seating area with a bar. It is also dotted with LED TV and CD player, becoming a favourite place to dine or entertain. Vast spaces of the exterior areas match the gulet’s interior design, offering its guests a variation of outdoor entertainment, whether sunbathing, al fresco dining or simply relaxing in the shaded areas. 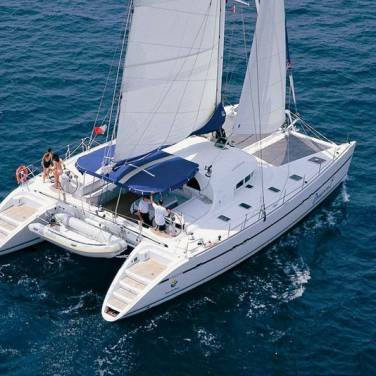 Bonaventura is also suitable for all manner of water sports such as waterskiing, snorkeling and fishing. 3 professional crew members will make sure you are well cared for during every stage of your cruise. A private chef will serve you delicious local meals prepared with organic ingredients and great care. Of course, an authentic gulet cruise wouldn’t be complete without carefully selected cruising itineraries so you will have a chance to enjoy the nature’s masterpieces dotting the Adriatic coast. However, all sailing routes are subjected to changes, depending on the guests’ preferences and the region where the gulet is chartered. 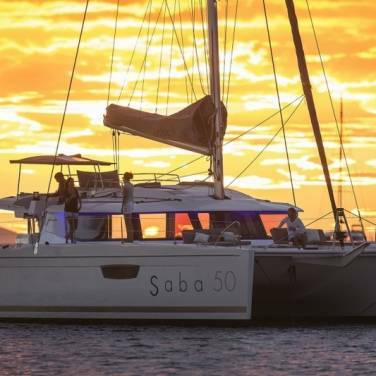 For instance, the guests who wish to explore the south of Dalmatia can easily set sail from Dubrovnik and take their time discovering this beautiful sailing region. Those who prefer to discover central Dalmatia instead can choose to charter Bonaventura either from Split or Omiš and enjoy the scenic views of historic towns or magical Dalmatian islands of Vis, Brač, Hvar and many others. Indulge your passion for sailing on board this beautiful gulet and find out for yourself why Croatia continues to be one of the most interesting nautical countries in the world.